Enjoy Fantasy Hockey like never before! If you are going to play fantasy hockey, then why not play with a company that for 30 years has offered the best in fantasy sports leagues? Last year over 8,500 fans like you played Scoresheet Fantasy Sports because we offer fantasy games more realistic than any others. Our computer system does all the work, and you get the fun of running your own NHL team. 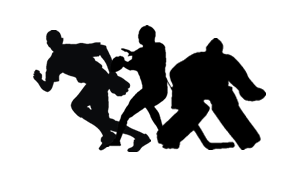 Click the video below for a quick look at what makes Scoresheet Hockey great! What makes Scoresheet Fantasy Hockey the right choice for hockey fans? awarding different points for goals and assists depending on the line at whichyou list your player. giving different point values for short handed goals. automatically substituting backups when necessary - you don't have to worry that an unexpected injury will ruin your week. Each Scoresheet league has its own individual website, which includes complete season stats for all players, including all free agents available in your league. All draft and game results are posted to the website as soon as they become available. We have developed a web-based drafting system that allows you to make your player picks at a specific time slot. It's like being in a real draft. To read more about web drafting, see our explanation of the Wed-based Draft. Join alone or with friends: We'll can put you in a 12 team league with other individual owners where we will coordinate the draft, or you can join with a group and form your own complete league, in which case you can hold your own live draft. Either way, you will be playing with some of the NHL's biggest fans! You can choose to play in a one-year league, or a continuing league where 9 players are kept from year to year. You can also choose to join an existing continuing league by picking up an available/orphaned team at a discount. Just check our Available Teams page to see if there's a team you would like to pick up. Have the most fun: At Scoresheet, you will play in real leagues, where you take part in an actual draft (meaning a player can only be on one team in each league). You will participate in real trade talks with other owners in your league, not just pick up players from a 'pool', and each week of the season you'll compete in head-to-head games against other owners in your league. For 30 years now, we have put all of our efforts into running the most enjoyable fantasy leagues possible. Send in your order form now, and we will rush you out a complete drafting packet as soon as your league is formed. If you'd like to read more about Scoresheet Fantasy Hockey, the complete introductory brochure is online in our Links & Resources. Or, if you'd like a copy mailed to you, send a request to staff@scoresheet.com with your name and address and we'll be happy to send you one. At Scoresheet Fantasy Hockey, our top priority is service. As we continue our third decade in the fantasy sports field, our reliability and promptness are second to none. 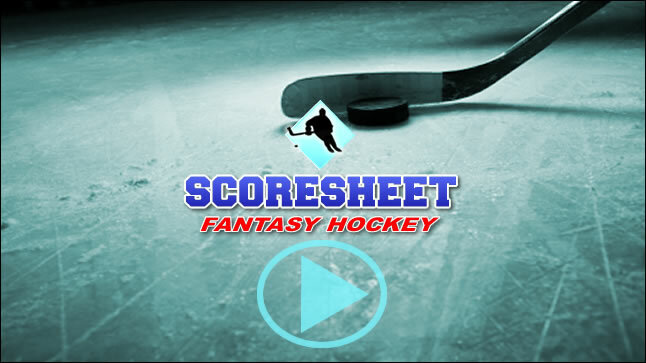 Scoresheet Fantasy Hockey will turn you into a total hockey fan, as you experience what it's like to be a real hockey team owner, GM and coach. Before the season, you'll scout players you want on your team and draft individual players from throughout the NHL, putting together your own team. During the NHL season, your team will play three head-to-head games each week against other teams in your league, scoring points based on your players' actual stats in that week's NHL games. As the season progresses, you'll watch NHL games and highlights as you plot your depth chart and team roster moves. You will also be able to make trades, pick up free agents, and juggle your lineup each week. You'll follow the entire NHL like never before! 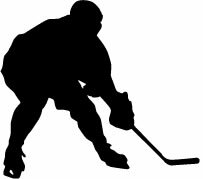 At Scoresheet Fantasy Hockey, we offer a fantasy game which reflects virtually everything that happens on the ice. 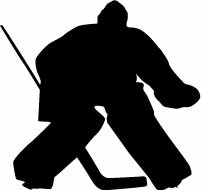 We offer a very realistic point value system - goals (with different values for power play or short-handed goals), assists, plus/minus (except during power-plays), goalie saves, goals allowed and penalty minutes all figure into your players' point totals. Empty net goals don't count against your goalkeepers, and penalty minutes do count. We even give more 'ice time' (higher point values) to skaters on your first line. No other fantasy hockey game plays at this level! The best part is that we do all the extra statistical work to achieve this realism - all you have to do is enjoy the game. And since all the work is done on our computer system, it is just as easy for you to play Scoresheet Hockey as it is to play a simpler fantasy game with far less realism. Scoresheet Fantasy Hockey is based on the actual NHL - each player can only belong to one team in your league. You'll be building realistic NHL teams - this is NOT like national 'contests', where every owner in your league can have Sidney Crosby on their team. Instead, you'll be taking part in a real draft, and making real trades with the other team owners in your league. You will also list up to 12 backups, who will play if any of your starters miss a game. Players are limited by their actual playing time in the NHL each week, so your reserves will play an important role for your team! But, it is NOT necessary to turn in a new depth chart every week - injured players are automatically replaced by your designated backups. And if you do want to make a change, there is no charge to do so. On your depth chart, you can also include a short list of free agents wanted. For the 2013-14 season, each team can draft a free agent every week (one per team) and will need to cut one player, as well. If you don't want to cut a player, you don't have to - You simply won't pick up a free agent for that week. Trading is another great way to build your team. Or, if your team is doing well, you can stay put for as long as you like - new depth charts are not required every week! There are no weekly fees in Scoresheet Fantasy Hockey. There are no extra charges for trading, free agents, or any depth chart changes! All player moves are published weekly, including all player trades and free agent pickups. Each week's results also include a list of the top undrafted players, and their season ratings, as well as season ratings for your own players, so you can make comparisons quickly and easily. We also print complete updated team rosters for your league, which include season-to-date Scoresheet point totals for every player in your league.